The world’s biggest slaughterhouse for endangered whale sharks has been uncovered in southeast China, writes Sophie Morlin-Yron. It’s products are being traded across the world in health and cosmetic products. The largest slaughtering facility for Whale sharks ever seen has been uncovered in southeastern China by Hong Kong based WildLife Risk. 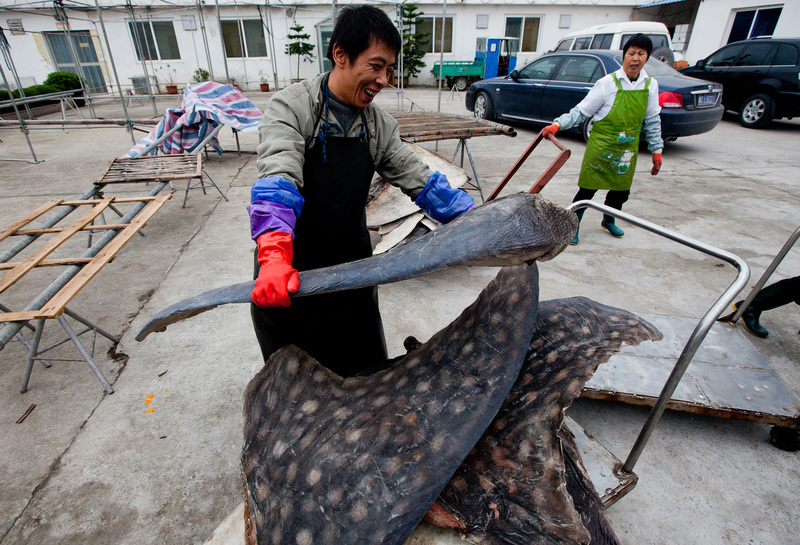 The slaughterhouse, operated by China Wenzhou Yueqing Marine Organisms Health Protection Foods Co Ltd, is estimated to butcher over 600 Whale sharks – an internationally protected endangered species – every year.